Lassen Municipal Utility District recently had a system wide outage on January 8-9, 2017. PG&E suddenly "gave" LMUD access to 5 hours of power? The power to the LMUD grid then was turned off again by PG&E. LMUD's approximately 10,000 business and residential customers were severely effected. On October 16, 2008, FERC (Federal Energy Regulatory Commission) issued Order 717. On November 26, 2008, FERC orders NV Energy to conform to the "Standards of Conduct" and post this new "FERC Order" prominently on its website. At this time Nevada Power and Sierra Pacific Power were doing business as NV Energy. NV Energy was acquired by Berkshire Hathaway Energy on May 29, 2013 for $5.6 billion. BHE completed the Topaz Solar Farms near San Luis Obispo, California in 2015 and is now looking to transmit NV Energy's power into Northern California via Lassen Municipal Utility District. In 2015, Nevada's solar industry was the second biggest residential solar market in the country, but then the Public Utilities Commission of Nevada (PUCN) increased the basic service charge to the roof-top solar customers and decreased the reimbursements for excess solar power sold back to NV Energy. Things went bad for Nevada based Solar companies. This was considered a punitive action against people that wanted to produce their own solar electricity. Some large solar panel companies left the State. On May 19, 2016 FERC denied NV Energy's request for a hearing on the CAISO's EIM (California Independent System Operator) transmission restraints against them. The EIM (Energy Imbalance Market) exists to deter withholding power in order to increase pricing. FERC documents claim FERC was uncertain what the effect would be to allow NV Energy to import their power into the California power grid. NV Energy ran into a snag when "Question 3" was put on the November 2016 ballot. "Question 3" asked the voter if they would like to change their State Constitution to establish an open and competitive retail energy market that prohibited monopolies. "Question 3" passed by 72.36% with 783,185 voting to approve the measure. 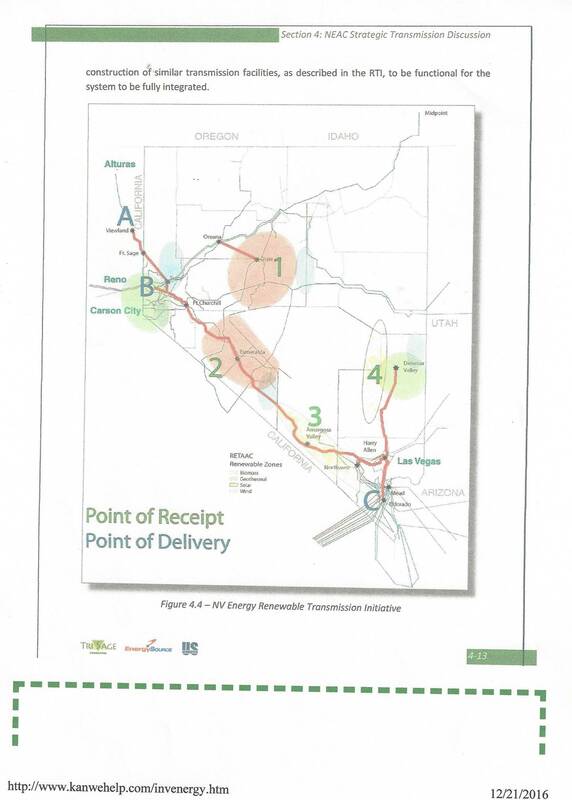 NV Energy/Berkshire Hathaway Energy re-established old "Viewland" talks with Lassen Municipal Utility District to develop their 230kv transmission lines into California. LMUD abandoned the "Viewland" substation a few years ago when BLM would not lease the surrounding contaminated property that the ATT property sat on. The Bureau of Land Management required LMUD to clean-up the contamination. LMUD, like the Hayden Hill transmission lines, walked away. 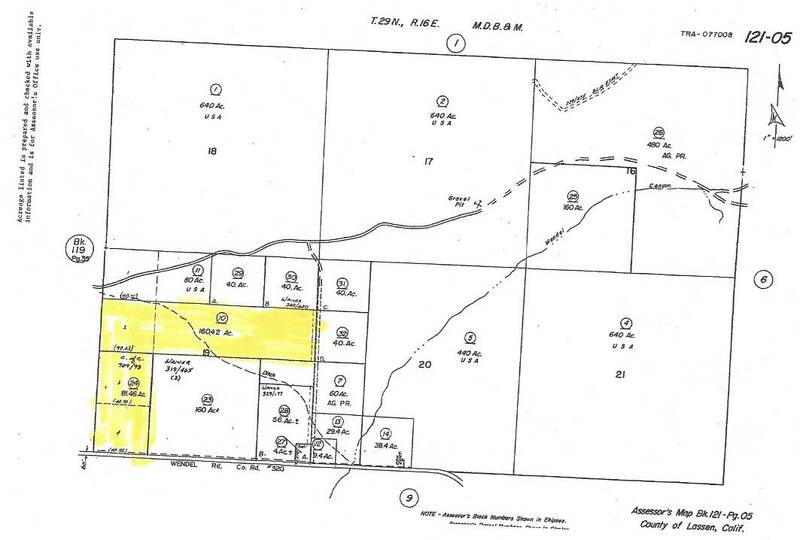 At the September 27, 2011 LMUD Board meeting, the Directors announced that they purchased the contaminated ATT property on BLM property (aka the Viewland Substation). LMUD claimed they paid $2500 for the ATT property/equipment. LMUD lied about this purchase. 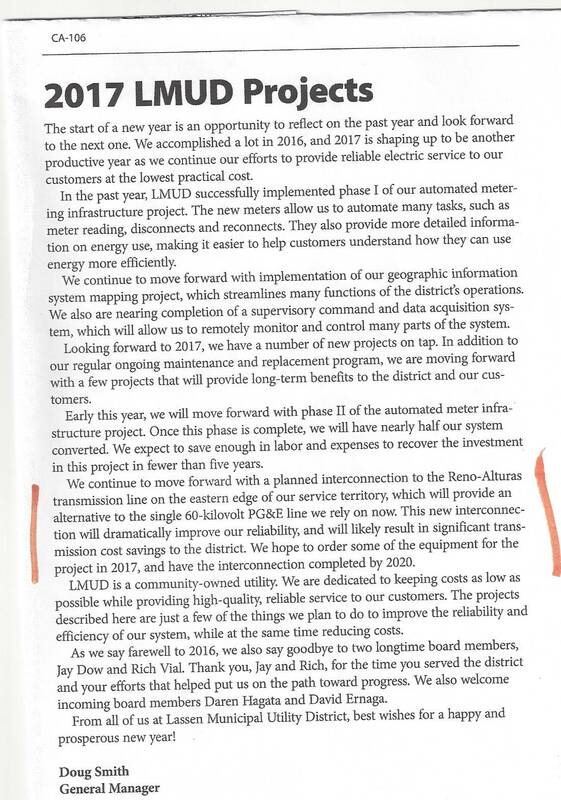 Over the past six years, the LMUD Board has overcharged their customers over $10,000,000, by telling them they are going to build the "Viewland Substation" to connect to NV Energy (230kv transmission lines). LMUD abandoned this due to BLM refusing to lease the land surrounding the ATT property. LMUD was unwilling to take responsibility of cleaning up the contamination. [Similar to the Hayden Hill debacle]. The LMUD Board failed to report this to the LMUD ratepayers. FERC claims they were uncertain what the effect would be to allow NV Energy to import their power into the California power grid. The LMUD Board recently purchased 240 acres in Wendel allegedly to build a new substation for receiving NV Energy's power. LMUD ratepayers will have to pay to build the 230kv transmission lines for NV Energy. How will PG&E react to this revelation? Chester, Plumas County receive their power from PG&E and did not lose power on January 8, 2017 but the PGE power for LMUD shut down? Urban & rural communities have objected to new power lines being built because of their size. LMUD will be required to acquire new easements for their proposed Nevada 230kv transmission towers and "Certificates of Convenience & Necessity" from the CPUC. The powerful PG&E is expected to put up a huge protest to prevent Nevada from entering the California power market. The LMUD Wendel Substation project, if it proceeds, will require public involvement due to the fact that "new" towers will be built. 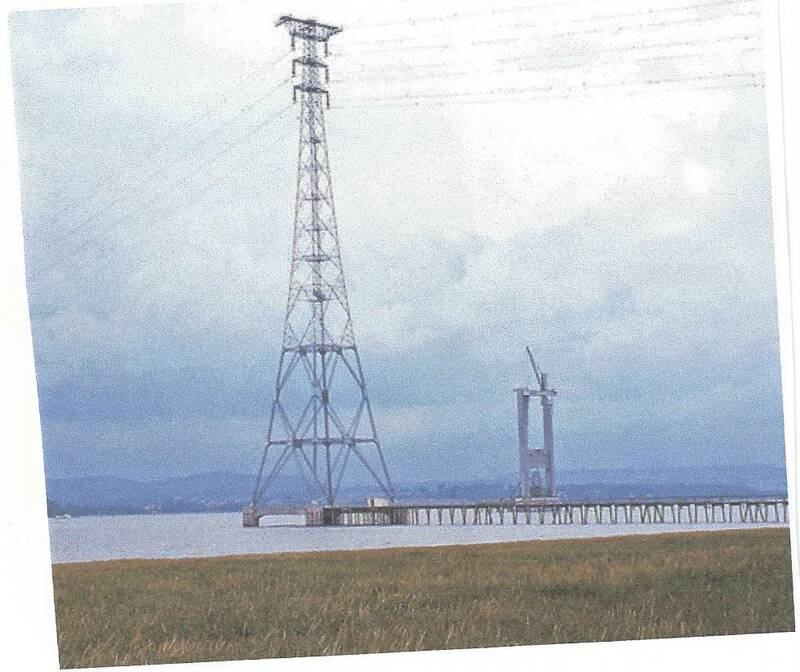 Adding 230kv lines to "existing" towers do not need public input.